Pennsylvania Condo | Transportation & Location: The Pennsylvania Condominium, built in 1991, is located in Penn Quarter on Pennsylvania Ave NW between 6th and 7th Streets NW. The closest Metro to The Pennsylvania is Archives-Navy Memorial Station on the Green and Yellow Lines. The nearest grocery store is the Safeway at 490 L St NW and there is a Walgreens at 801 7th St NW. Enjoy true luxury living at The Pennsylvania! 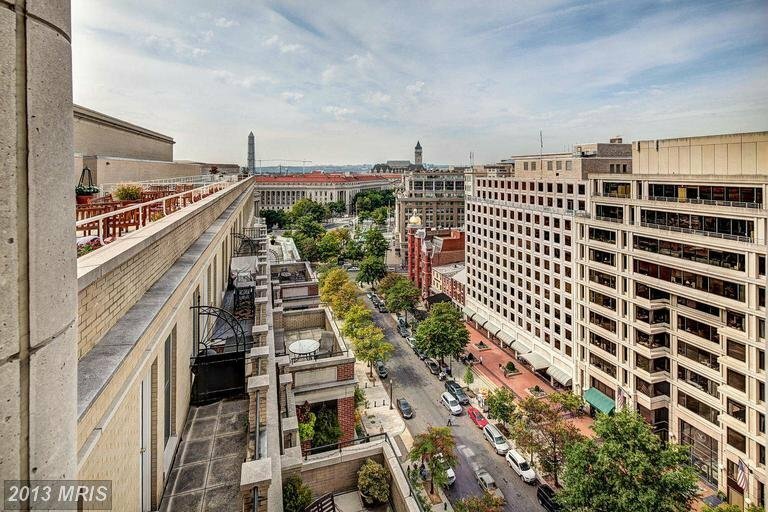 This beautiful, sun filled condo boasts top of the line gourmet kitchen, granite counters, stainless steel appliances, washer and dryer, hardwood floors, private storage unit and a fabulous balcony with views of the Capitol. Building offers 24 hour concierge with a fitness center and a roof top deck with unbeatable views. Steps away from shopping, dining, museums and Metro! The Pennsylvania Condominium | Additional Information: Also known as The Pennsylvania, The Pennsylvania Condos, The Pennsylvania DC. The Pennsylvania located at 601 Pennsylvania Ave, NW Washington, DC 20004. Pennsylvania Condo | Rules: Pets Allowed, The Pennsylvania Condo is managed by Zalco Realty (301-495- 6600), VA Loan Approved Building. Listing information last updated on April 23rd, 2019 at 4:04pm EDT.